For additional information about this book, visit the website ddlanz.com. Terminal cancer patient John Janne plans to end his life, rather than suffer an ignominious end, but first, he needs to know what to expect on the other side. John Janne has a good life—a thriving law practice, a loving wife, and two wonderful children. But a visit to his doctor changes his life in an instant. Janne is diagnosed with stage four lung cancer and given six months to live. Stunned, John wonders about his course of action, particularly about how to tell his family—they’d been after him for years to quit smoking. I’ve let them down, he thinks. Everyone’s going to be angry with me for throwing my life away. In that instant, Janne makes a decision. Rather than putting his family through the agony of watching him die a painful death, he will take his own life. But suicide presents problems—how to do it so that his family doesn’t wonder what went wrong in his life and blame themselves for his death. No, it will need to seem an accident. He considers a number of scenarios and finally decides on a canoe trip in northern Minnesota’s Boundary Waters where he will drown his diseased lungs. 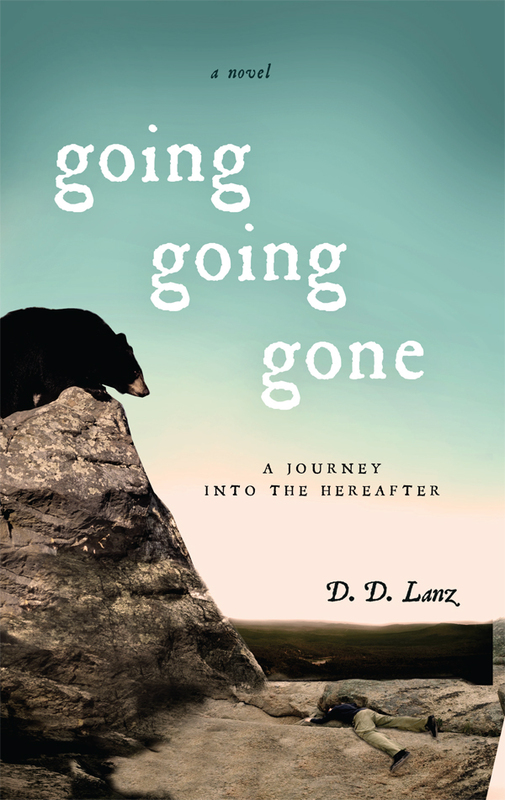 Lanz’s Going, Going, Gone is far more than a novel about a man’s plan to end his life in his own way. Through the protagonist’s explorations, it becomes a philosophical walk through discoveries about death—and afterlife. Lanz’s main character wants to know what to expect on the “other side,” so he researches extensively various religions, the Bible, and afterlife theories. Confused by his research he asks, what am I, atheist, agnostic, or Christian, is there even a God? Ultimately, his eyes are opened—as yours may be—to the peace and understanding that will follow as he paddles to the surprising end of his life and discovers the afterlife. The protagonist, a lawyer, is diagnosed with terminal lung cancer. Not wanting to die a slow agonizing death, he decides o take his own life. His death must look like an accident. Drowning his diseased lungs seems appropriate and the Boundary Waters (BW) is chosen. While in the library researching the BW he decides to check out the afterlife. He becomes consumed with religions and their concepts of the afterlife. He reads the Bible. The more he learns the more confused and disgusted he becomes. As he journeys the BW he has experiences that convince him that there is a God. When he falls from a cliff and dies he is met by and indian who also died there. Together they visit his body in the morgue and attend his funeral. In the end he is still confused, is he in heaven? Just where is he? Mr.Lanz, presently retired, is a former senior partner in charge of marketing for a large national architectural/engineering firm in Minneapolis, Minnesota. Besides writing, his main activities are travel, stock trading, and politics. Also interested in various religions and desirous to write a book he has been collecting tidbits of historical information and quotations for over twenty years.